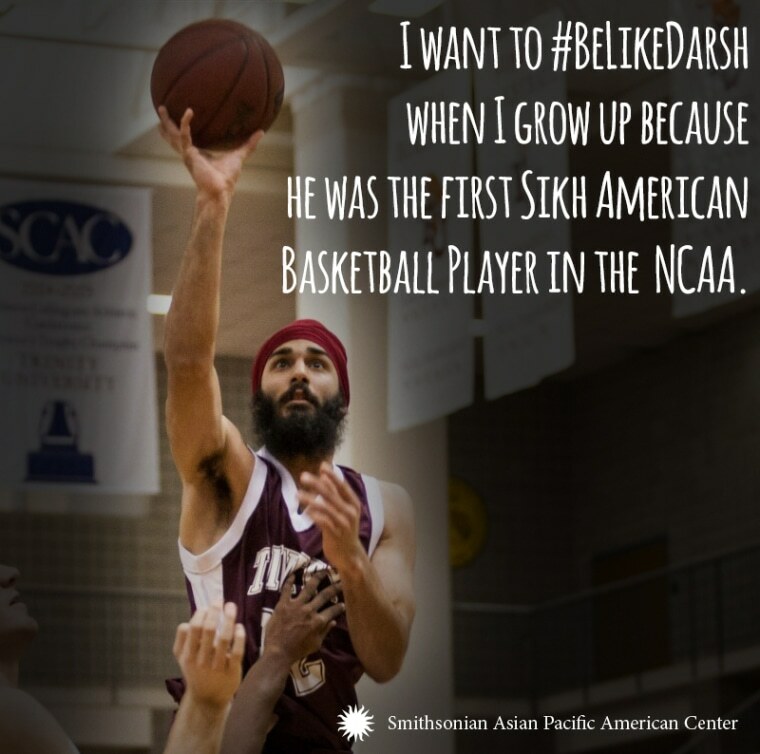 The Smithsonian Asian Pacific American Center launched a social media campaign Tuesday to continue the conversation started after a Facebook post defending Darsh Preet Singh, a Sikh American, went viral. The hashtag #BeLikeDarsh began after Greg Worthington, a PhD student at the University of Texas at Austin, wrote on Facebook defending Singh, who was the target of a "joke" that suggested Singh's name was "Muhammad" and that he was an "explosive" basketball player. Singh was the first turbaned Sikh to play basketball in the NCAA, and his Trinity University basketball jersey is housed at the Smithsonian National Museum of Natural History as part of their "Beyond Bollywood" exhibit. Singh’s friends, including Worthington, were the first to chime in, adding more information about him. Singh's wife, who has written for NBC News about how much she worries about his safety, also commented, highlighting his sense of humor, intelligence, and capacity for love. Many found inspiration in Singh’s accomplishments and pride in his identity. I want to #BeLikeDarsh. I don't ever want to be ashamed or afraid to own up to my Sikh heritage. And, don’t forget, Singh's mad basketball skills. Singh's own response was thoughtful and thankful.